Russell, Heather, Louis, Henry and Hugo welcome you to stay in the distinguished comfort and luxury of their stunning 19th century Chateau. 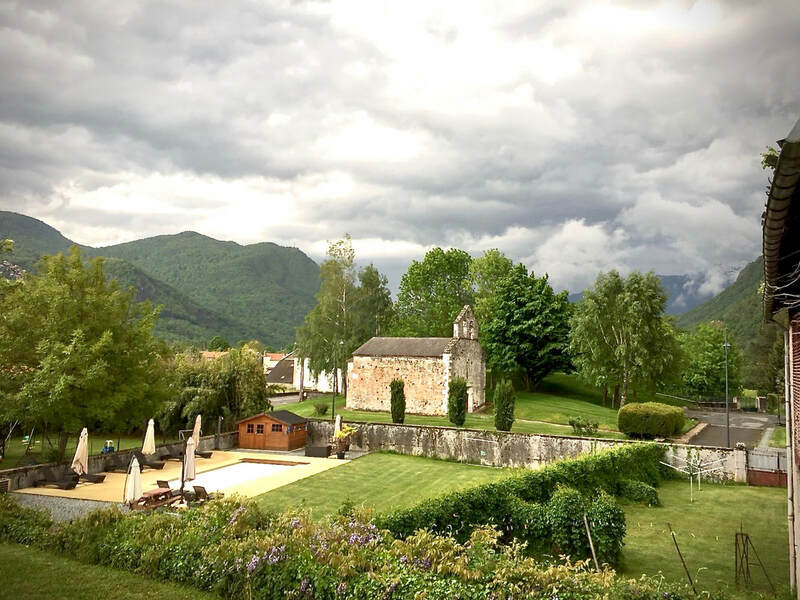 Located in the beautiful village of Salechan, nestling at the foothills of the Pyrenean Mountains this lovingly restored home away from home can offer you a choice of 5 large luxurious rooms all with en-suite facilities, and stunning views of the mountains. 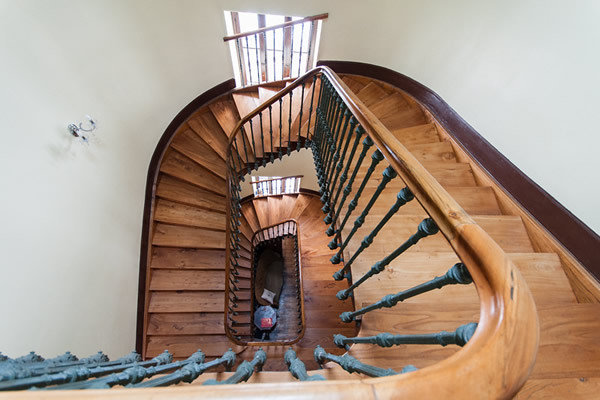 Built in 1887 the three storey house stands back from the Route Nationale and is completely enclosed and private. 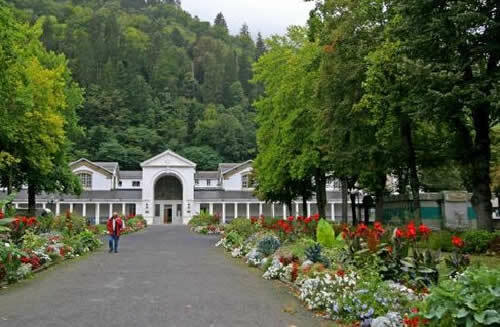 The front of the house has an element of grandeur with its imposing marble columns and balcony. Inside a sweeping staircase through the middle of the house, original parquet flooring, and a different marble fireplace in each room are just some of the delights. For the avid cyclists we are situated just kilometres away from some of the best Cols in the area. 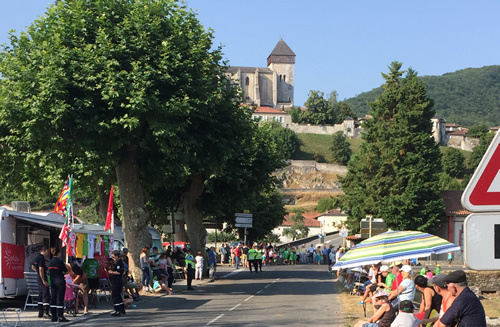 The Col des Ares, Port De Bales and Col de Menthe are all regularly featured in the Tour De France and are all just a short warm up ride from our front door. A secure area for bike storage is available. If ski-ing or other winter sports are your passion, we are just a 20 minute drive from the resorts of Le Mourtis and Superbagneres. 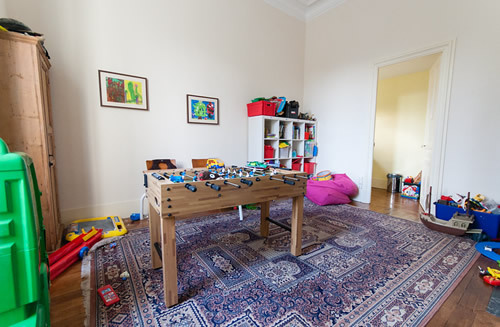 All breaks can be taken on a bed and breakfast or catered basis. Walking, cycling, fishing, ski-ing, parapenting, culture and stunning scenery are just some of the delights that can be explored from our base here in Salechan. 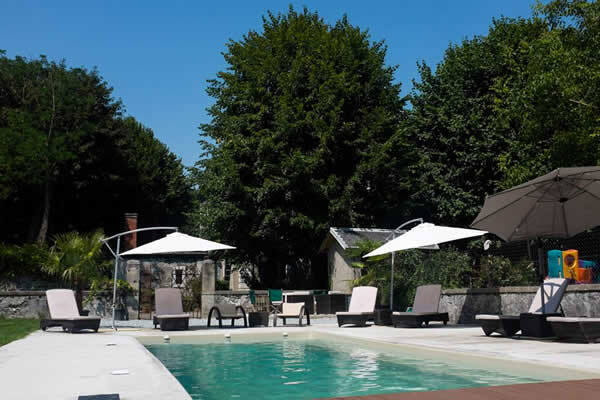 Our 10m heated pool is open in the summer months, an excellent place to relax after a busy day.